The premiere was near. 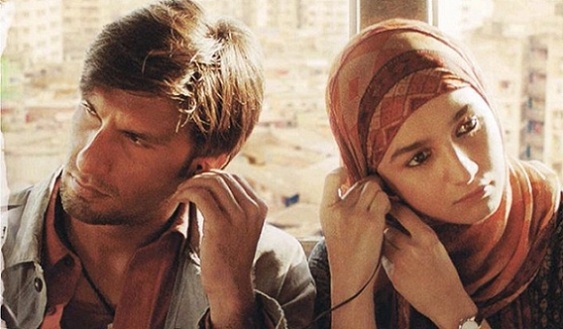 Everyone was in a rush: producer Ritesh Sidhwani, director Zoya Akhtar, and stars Ranveer Singh and Alia Bhatt. Here’s an attempt to capture the stream-of-consciousness of the interview sessions. Why does everything about people like Ranveer and Alia seem so shallow. I could be judgmental here but they bring to cinema and acting this culture of “shallow is ok” – “yeh chaltha hai” attitude. Zoya after luck by chance looks more of a costume designer good at dressing up pedestrian scripts and she especially seems to be good st covering up for their insincerity.